A businessman and a comedian… It doesn’t sound like the perfect combo to start that age-old joke. To some, business represents grey, sterile office blocks and weekend jokes shared around the water cooler before the daily grind begins – a world away from the electrifying comedy circuit. 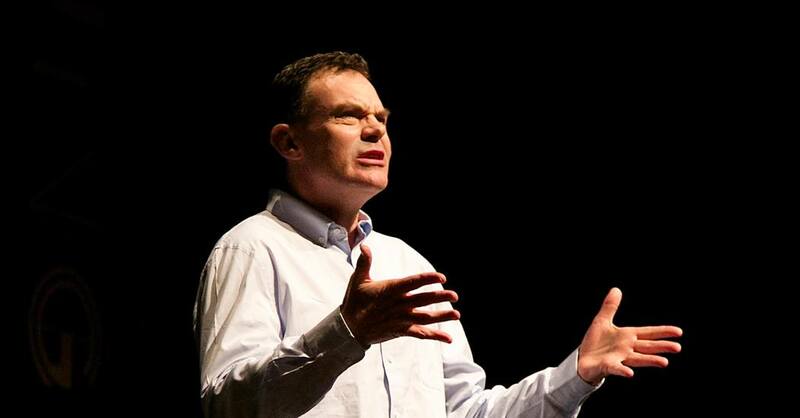 But marry the two and you’ll find Neil Mullarkey: comedian, businessman and host of this year’s Meaning. It is clear that Neil is no ordinary businessman. We are told that the days of the rat race are numbered. No more the mundane hamster wheel of work and the hierarchical corporate setup. Today’s business is fun, it’s exciting, it’s human. So what better way to capture the essence of what it means to be human than through comedy? 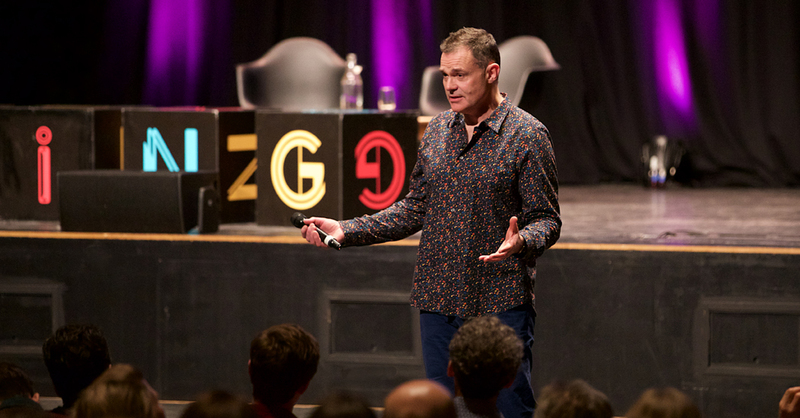 Neil Mullarkey is co-founder of the world-famous improvisation group the Comedy Players – which he founded alongside Mike Myers. He has appeared on a plethora of shows, like Have I Got News For You, Saturday Live, Who’s Line Is It Anyway?, QI and many more. Neil was once president of the prestigious Cambridge Footlights group, since when he has shared a stage with comedy legends like Eddie Izzard, Dawn French and Eric Sykes. And this year he’ll be swapping his theatrical home for the Brighton Dome, and treading the boards of Meaning, alongside some of the world’s more inspiring business leaders. We hope Neil will be enlightening us on the importance, and effectiveness, of combining business with a little comedy. “I was touring in the Footlights and had a feeling that this life was not for me. We had a week off, and on the Wednesday, I wrote lots of application forms for jobs (advertised in the Guardian), but a wise friend’s advice on the Friday made that impulse subside,” Neil tells us. Neil has worked with global business giants such as Barclays, Unilever, Google, Microsoft, Saatchi & Saatchi, and the NHS – bringing the innovation and agility of improv comedy into the boardroom, transforming business for the better. Changing businesses from the inside out, Neil’s work encourages communication, collaboration, engagement and creativity – the lifeblood of the future world of work. So, why does business need to change its reputation? And how is Neil’s work helping? “I read a lot about Marxism at university. There did appear to be a contradiction between capital and labour. But my dad was a businessman. He wasn’t exploiting the workers. He was a ‘worker’, even if he wore a suit. And his pension depended on how well invested the capital was by the fund into which he and other workers paid,” says Neil. “The problem, as suggested by Thomas Piketty, and warned of by Marx, is that it seems that over the last century or so, just owning the land has proved more profitable than working hard or investing in better tools. So, what’s the biggest barrier to creating a more humane world? And how can innovations in business get us there? “All over the world people need, at the very least, homes that are safe from natural or man-made disaster. “Not one individual [inspiration] but a type of person,” says Neil. They may not covet the limelight, but our speakers at the year’s Meaning will certainly be stepping into it… We asked Neil what he’s most looking forward to at this year’s conference, and why he’s coming back (Neil was a speaker at Meaning 2014, hosting a very memorable and inspiring session). 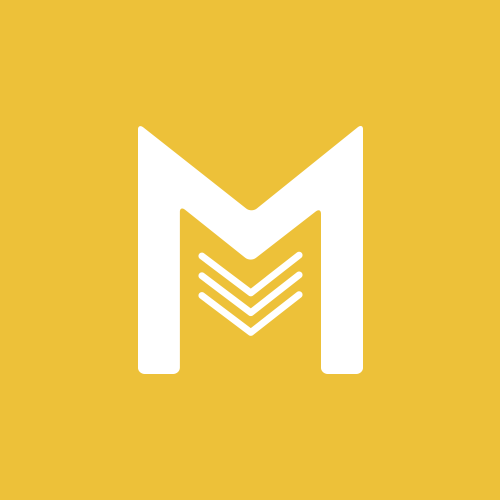 “I had a good time last time – seeing great speakers from whom I learned a lot. And my session was fun and seemed to make sense.” says Neil. “Plus, I love Brighton.” he added. What do you expect to take away from Meaning 2018? And who are you most looking forward to seeing? “Amy Whitaker for her academic view on arts and business, and Eva Gouwens and Helen Taylor for their insights on how to address some of the above challenges in a really practical way.” he says. In a bid not to steal all his lines, or ruin any punchlines, we’ll leave the conversation here… But, make sure to pick it back up again at Meaning 2018.